Twenty-four of the fifty-six men who signed the Declaration of Independence attended seminary or Bible school. Hundreds of letters of these men speak of God and their faith in Him. Honor and integrity were important attributes which characterized their lives. Most of them sacrificed much for the cause of American liberty. “With firm reliance on the protection of the divine Providence*, we mutually pledge to each other our Lives, our Fortunes, and our Sacred Honor,” they declared. Washington was the only president unanimously chosen by the electoral college, an indication of the trust the American people invested in the general. Frequently throughout his life, he demonstrated strong reliance on God. Remember the portrait of him, kneeling in prayer at Valley Forge? And decades after his death, pastors were still preaching sermons that honored his exemplary life. 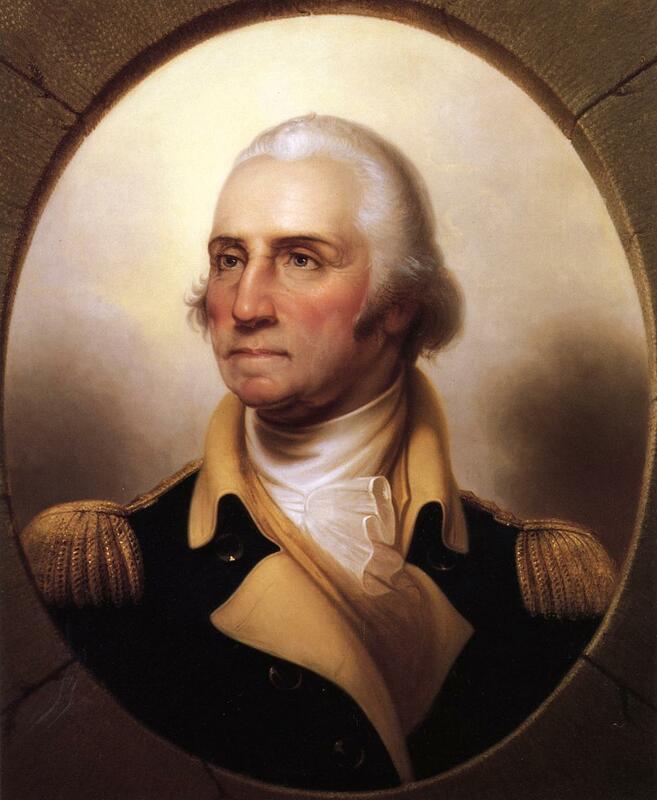 Washington recognized that God had been strongly involved in the colonies’ battle for liberty. His first act upon being sworn in as President? He prayed, reminding his listeners at the inauguration that it is Almighty God who presides over the universe. Washington also closed his inaugural address with prayer. What chance did the weak, floundering colonies have to become a strong, prosperous nation? Small, indeed. But God used men of Christian character such as Washington to achieve the impossible. Because the word, providence, no longer appears in our Bibles, some have concluded that those forefathers who used the term were Deists who believed in an impersonal God. But many outspoken Christians of the day used the term, including Rev. Dr. John Witherspoon (minister and signer of the Declaration), John Quincy Adams (officer of the American Bible Society, active patriot, and sixth president of the United States), John Jay (president of the American Bible Society and first chief justice of the Supreme Court), and Dr. Benjamin Rush (founder of the Sunday School in America and signer of the Declaration). All of these men and others, whose allegiance to Christ is verifiable in their writings, also included many references to Providence in their works. Thanks so much for this history lesson. It seems the one thing we don’t learn is that we don’t learn from history 😦 Your post is much appreciated, sister! You are so right: we don’t learn from history. Part of the problem? Many people don’t know their history. Another part: The younger generation thinks they know better than their elders or ancenstors. Sometimes that’s true. But young leaders would do well to pay attention to such noble men as President Washington. I did not like history either when I was in school. Such a shame that most textobooks squeeze out all the juicy details and leave a very dry, boring narrative behind! You are so right about what our founding fathers sacrificed. God empowered them, not only with wisdom and passion, but courage and self-sacrifice as well. Indeed: we take much for granted. Thank you for your comments, Rebeca! When I saw the title of this blog I thought “Oh, goodie! Another history blog!” I love history, loved it in school, love it still. When I was a child…on our visits to the library…I would ALWAYS choose a biography for selective reading. Sadly, the attributes of Washington and his contemporaries are sorely lacking in the political leadership of today. I can only rest assured that God is in control and knows every heart. Victory is already HIS in spite of the present circumstances of this world. I have to wonder if the present circumstances of this world are” the beginning of the end” for Planet Earth. Praise God we can still rest secure, for the very reasons you mentioned: He’s in control and the final victory is already HIS! Thank you, Cheri! Yes, I agree. I really believe that we are living in the ‘end times’…as they say. That would be a good request to add to our prayers: that our Christian leaders would have opportunity to speak about their faith, that God would give them the words to say that minister to the spirits of those listening, and that they might speak with boldness, clarity, and conviction. And though our platform is much smaller, we can pray the same for ourselves. God, help us to be strong voices for You!